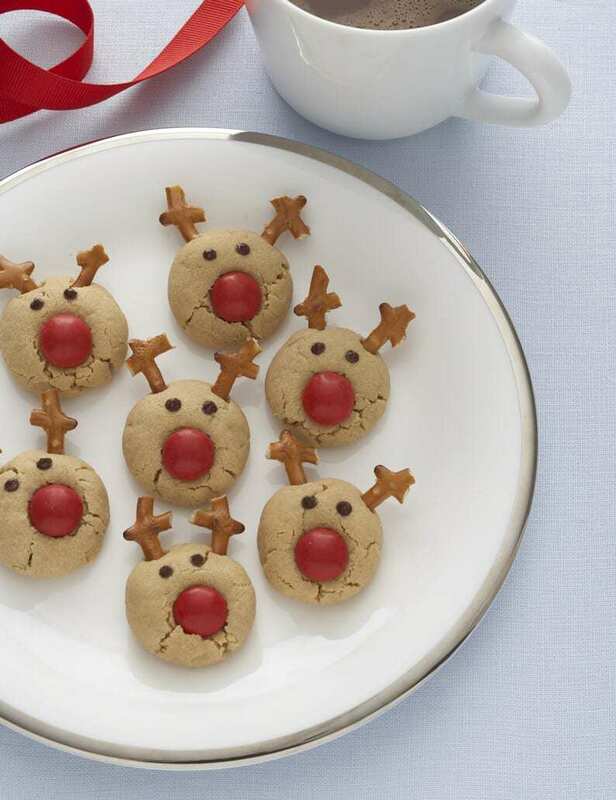 Peanut butter Rudolph reindeer cookies are the cutest cookie you’ll bake this season! Get the kids involved for a fun way to spend a school-break day. I think if Rudolph had started out as a delicious cookie instead of a reindeer, he would have been accepted immediately. But I suppose then there wouldn’t be a lesson to be learned. I’ve never needed to learn a lesson about eating a cookie though. I just love them for what they are, no questions asked. These are one of my all time favorite cookies I’ve ever created. No one can deny their cuteness. And even better they are soft, flavorful peanut butter cookies! The mix of peanut butter, pretzels and chocolate M&Ms are holiday perfection. 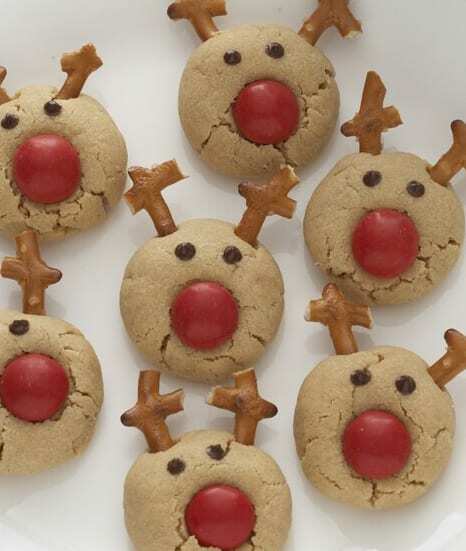 Peanut Butter Rudolph Reindeer Cookies combine chocolate, pretzels and peanut butter! All my favorites snacks in one! I also love that a platter of these guys look fun and festive, especially when they aren’t perfect. With little hands helping you, each one will have their own personality! I’ve had friends send me pictures of their versions and they are always happy little reindeer. The recipe makes a big batch, almost 50 cookies, so you can take them to the cookie swap (and win!!) plus keep some for yourself. 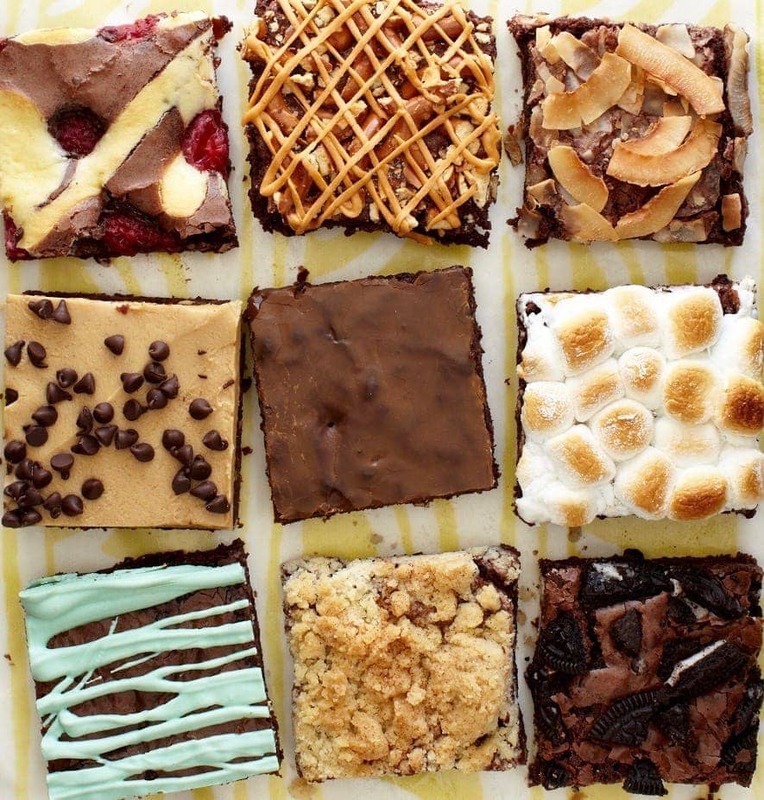 Host a cookie swap and make it the best ever! 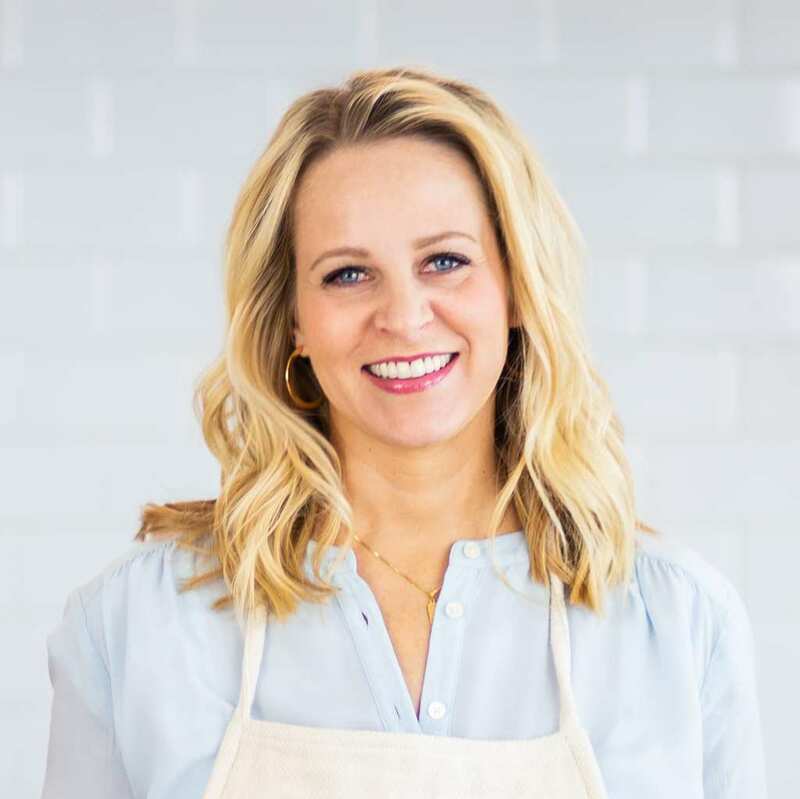 If you’re the one hosting the swap this year, first plan on making Peanut Butter Rudolph Reindeer Cookies, and follow these quick tips. • Invite 8 to 10 friends. Any more and everyone will have to bake TOO many cookies. You want your guests to bake about a dozen cookies for each guest to nibble on and take home. • Set some rules for the party about the style of cookie everyone should plan on. 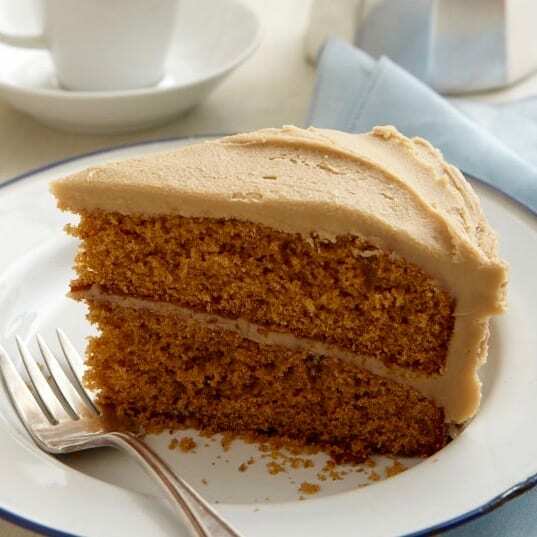 Fancy, quick ideas, homemade, etc, so that no one is slaving over royal icing while someone else uses dough from a tube! • Make sure you have a large table, or tables for everyone to display cookies on. And gather platters and serving trays for extra cookie display. • Supply extra containers, tins, or zip top bags for take aways. • Most important! You’ll need some savory nibbles and drinks so guests aren’t leaving on a cookie-sugar high! See below for savory snack ideas. Make everyone happy with this pb-chocolate-pretzel combo! Kids will love making these too. Heat oven to 375ºF. Grease two baking sheets. 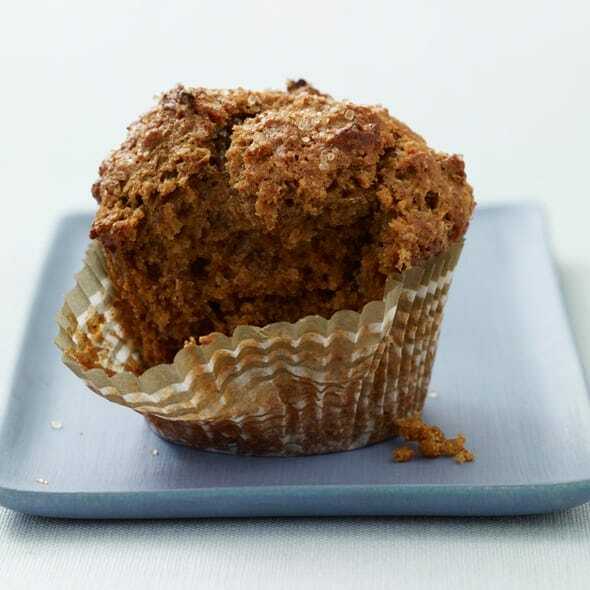 In a large mixer bowl beat together butter, peanut butter and sugars on medium speed until light, about 2 min. Add egg and extract; beat until combined. Stir in flour, baking soda and salt until a dough forms. Roll into 1-inch balls and place 1 inch apart on prepared sheets. 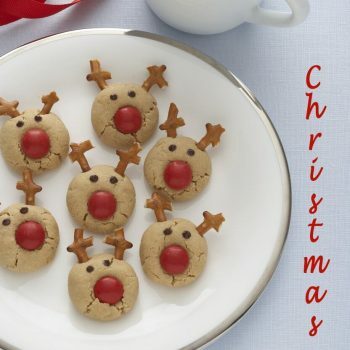 The cutest Rudolph cookies you will ever find! Savory nibbles for your cookies swap are a great idea. You’ll be snacking on all the delicious cookies and will want your guests to have variety. 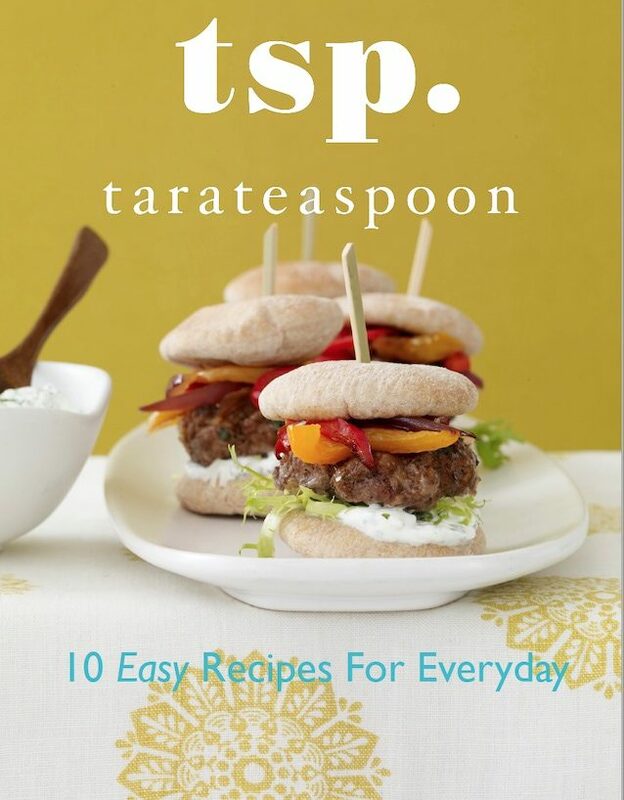 Here are some great ideas from Tara Teaspoon. 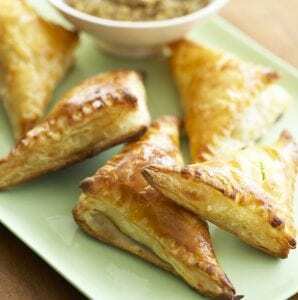 Ham and Gruyere Mini Turnovers are made with puff pastry sheets so they are easy. Delicious anytime since you can freeze and bake them whenever you need a savory snack. 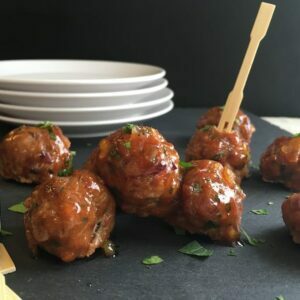 Chicken Meatballs with Cumin and Orange make a great party nibble. Packed with flavor, they are a low-fat savory snack that everyone will love. Oh my goodness how cute are these! ?